Can’t make a regular commitment to volunteering but want to be involved in policing activities? The Community Volunteering Scheme could be for you. 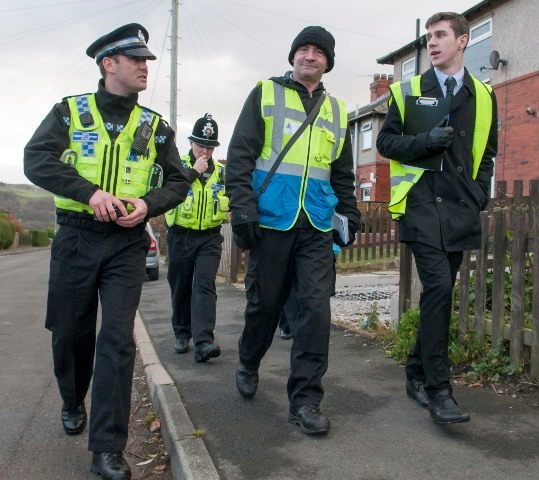 The Community Volunteering Scheme is a national initiative being adopted by West Yorkshire Police which encourages members of the public to volunteer occasionally alongside their local police. Less formal than other types of volunteering (such as being a Special Constable or Police Support Volunteer) it recognises that many people are not able to make a formal commitment to volunteering. 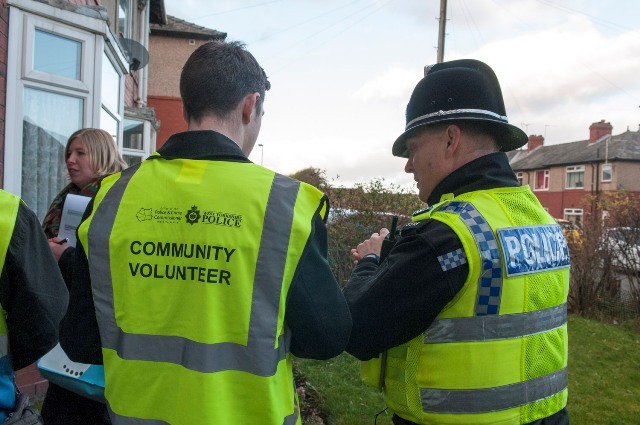 By using people in just an ‘ad-hoc’ way, communities and the police can still receive great benefits from the assistance of Community Volunteers. Aimed at people who want to make a difference in their communities, the scheme allows people to do this but also meet others, feel part of a team and develop new skills. Community Volunteers do have to pass a standard criminal record check but then, when they have the time, they can work alongside police officers and staff at key public events, operations and initiatives. 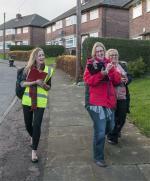 Community Volunteers will be given hi-visibility vests for these initiatives which clearly identify them and maximise the visible, reassuring impact they will have for communities. Details of the volunteers will be held on a secure West Yorkshire Police volunteering database. This allows different policing teams to easily contact local Community Volunteers by e-mail to see if they can support forthcoming policing events. A simple ‘accept’ or ‘decline’ by the Community Volunteer means the police can easily see who will attend and then utilise those volunteers to best effect. PS Nigel Good form the force Volunteer Hub said: “We know that there is a massive public willingness to help the police and this scheme aims to tap into that for everyone’s benefit. Quite understandably, many people don’t have the time to help us out frequently. However, because this scheme is about people helping us when they are able to it suits individuals and the police will still get much-appreciated support. Being able to call upon significant numbers of community-spirited people who can don a high visibility vest and work alongside us at a wide range of policing initiatives will help keep communities safe and feeling safe”. There is no obligation for you to commit to a certain number of hours, just let us know what you are prepared to do and when, and we will contact you when we need you. You must have resided in the UK for a minimum of 3 years before applying. If you are not available, don’t worry we will still contact you when the next opportunity arises. We have just run a Force-wide recruitment drive for the Community Volunteering Scheme so our Districts are currently processing all those applicants. We will advertise again here when we are recruiting further Community Volunteers. Telegraph and Argus Article - "Join the Force for a rewarding role"